Are you a SME or international beauty/healthcare brand looking for PR? Here at Amazing PR, we love nothing more than discovering new and exciting brands. Our passion for these SMEs and international brands drives us to develop bespoke services, tailor made to help each brand to realise its true potential. Amazing PR will call to action all of our supreme resources to get your company into the spotlight. We have extensive experience in both the Trade and Consumer Media arenas so we can always make your voice heard. We make sure that we strongly believe in everything that we promote. We will always give you an honest overview of what we can achieve for your brand, and if the fit is right, then we will go above and beyond to transform our creative ideas into real results. We are a boutique agency, and as such, coming on board with us guarantees that your company will receive the attention it deserves from our motivated, vibrant workforce. We run with the best of them, aligning with all other PR services to provide the backbone of a campaign. However, we do it with a little more style and panache, and are happy to bend over backwards in order to build a custom PR campaign package that’s perfect for you. Why not email us and request our case studies to see how it’s done. How will our connections work for you? In the PR industry, it’s all about who you know as well as what you know. Born from a background in journalism, our agency is in a unique position to know exactly what the media want to hear, and deliver a service that benefits both parties. We actively seek out new opportunities and contacts for our brands to gain maximum impact, often cross-fertilising ideas with our complementing brands, in order to give them the best media coverage possible. We are an energised and dynamic team who pride ourselves on our personal approach to our brands. We work tirelessly to keep apace with new social media developments, ensuring that you get the best advice, putting your brand on the digital map. Our unrivalled list of contacts, harvested daily to add to our personalised and unparalleled database, give us a platform in which we can launch your brand. How can we go above and beyond for your brand? With our wealth of experience, we can find the right package for each and every niche brand. Our matchmaking is unrivalled. We have a team of associates who include leading Brand Consultants, Developers, Distributors and Retail Experts. We also have the nous to know exactly what you need. How do we keep ‘online on-trend’? As the only PR agency with a highly successful, independent daily blog, we are able to generate buzz about the brands we love, as well as keeping our fingers on the pulse of the digital world. We utilise our digital platforms, driving brands up the SEO scale, helping them to flourish in a largely digitalised industry. We pride ourselves on our social savvy, and have made our substantial online presence work for us and our clients. With a finger on all of the most important social media platforms, and a keen eye out for upcoming trends, our profiles are constantly buzzing with activity, updated throughout the day with newsworthy items from our clients and our blog. Amazing PR provide both long term and bespoke special project contracts, developed to ensure the best for your brand. Once we have found the right approach for your brand, we can put our exciting, creative and innovative campaigns into action. Let Amazing PR put you in the centre of the Universe. Nowadays, social media is everything. The quickest way to reach your target demographic we think is through strategically timed tweets, and Instagram is often the best companion to a new product launch. However, let's not forget about Facebook which is undergoing a mobile revolution with 4 out or 5 of the 24 million Britons, logging on each day, using a smartphone or tablet to sate their social appetite. The social media world can often be a daunting one, but Amazing PR have the expertise and knowledge that you need to navigate the ever expanding digital network. Let Amazing PR conquer your digital downfalls, and help to make your brand to be the best it can be. Our hugely successful daily independent blog encompasses everything from beauty and fashion, to food and pets. A haven of new discoveries, and things to do here in the UK, we pride ourselves on our uncanny ability to unearth hidden gems and deliver them straight to your inbox. Would you like to be featured on The Amazing Blog? We here at The Amazing Blog love painting our nails and having fun with new colours. A great manicure is the perfect finishing touch to a stylish outfit and keeps you looking your best. Launched in 2005, Amazing PR is the brainchild of Edwina Wynyard. With an extensive background as a stylist and a beauty and lifestyle journalist, Edwina already had a solid and influential network of contacts, as well as the industry savvy to know exactly what those stylists and journalists needed from a PR agency; a formidable combination by anyone’s standards. As true now as it was back then, we strongly believe that daily contact with key industry players, and the ability to ‘feed’ them exactly what they need are the vital components to any good PR campaign. Now a force to be reckoned with, Amazing PR still practises the same ethos as it did in its beginnings. Our dedicated, hands-on approach ensures that every client gets the commitment it deserves. We are, after all, just an extension of your branding team. 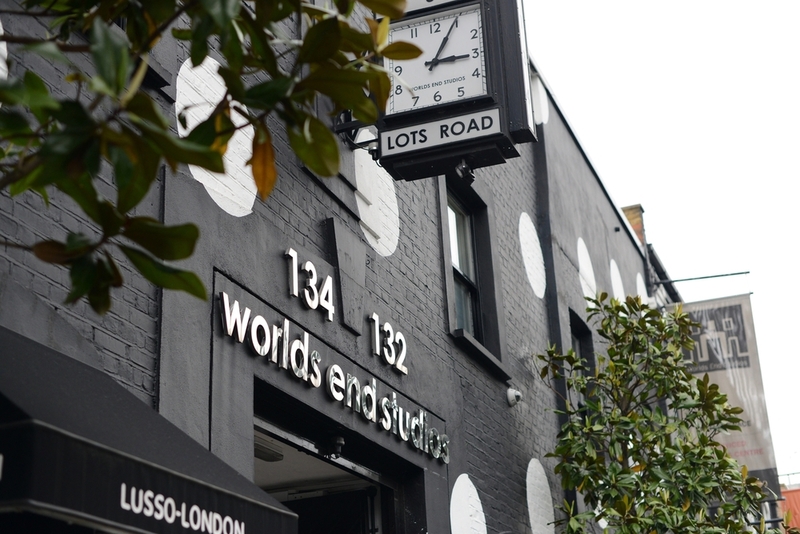 Based in the artistic heart of Chelsea, World’s End is a hub of creative activity. The buzz of this diverse mecca, a hive of talent and inspiration, puts us in the paramount position to get the creative juices flowing, ensuring that our brands get the best PR available. With over 25 years of media experience, making the switch from being a successful journalist to a PR was a natural progression. Her guilty food pleasures are generally savoury; however she's unlikely to say no to the odd macaron and glass of champagne if thrown in for good measure! She loathes the tedium of the gym but loves the challenge of reformer pilates. Currently addicted to flicking through travel brochures dreaming about far-flung places; she's also in pursuit of finding the perfect sunless tanning product. Edwina would never walk out the front door without a spritz of her favourite scent. Jose joined the Amazing PR Team in January 2012. A graduate in Advertising and PR, he works as the visual designer and community manager at the agency. Jose's mad about Game of Thrones, so much so that he met the author and even designed a poster for him. On a rainy London day, Jose's favourite thing to do is escape to the cinema to see the latest Tarantino movie. However, you'll never see him with a hair out of place as he loves his beloved hair gel. A self confessed caffeine addict, you'll rarely see him without a steaming cup of coffee in hand. Emma joined the Amazing PR team in June 2015. She's spent the last 6 years working in the PR and advertising industries, most recently in the new business and marketing departments of McCann London and the digital agency Dare. Emma is a classically trained soprano, and when she's not on the quest of finding the perfect BB cream, can be found singing in various operatic productions around London. She’s also a total foodie and spends much of her time cooking and experimenting with the latest health food fads. Although she tries to be healthy (most of the time), sometimes her wicked sweet tooth gets in the way! oining the Amazing PR Team in February 2017, Claudette has a range of experience from working with NGOs to luxury retail brands. As a self-professed skincare addict, when she’s not researching the latest Korean trends she’s obsessed with finding the perfect red lipstick. A lover of all things old, Claudette spends her weekends hunting through vintage stores to find the perfect outfit and re-watching her favourite old Hollywood classics. Campaign that promotes awareness between fine chocolate and mass-produced chocolate confectionery by educating consumers via workshops, seminars and major biannual conferences. They improve the standard of chocolate in the UK by holding prestigious annual Awards which attract major international chocolate producers and artisan chocolatiers. Founded by Adriana Carlucci in 2004, Ancienne Ambiance is a niche luxury brand based in London. Although the brand’s speciality is natural hand-poured luxury candles, Ancienne Ambiance spans a wide range of ancient inspired products from home fragrance and body care to jewellery. Hair Organics is a luxurious Notting Hill salon specialising in only organic hair colour and hair care. The concept and ethos behind Hair Organics was developed by two New Zealanders, Katrina Smith and Terry Wilson. All their hair care treatments use pure and active botanicals instead of harsh chemicals. Luxury Connect is the UK's leading luxury marketing agency, delivering creative and marketing solutions to luxury brands. They also specialise in grooming up-and-coming luxury brands for the luxury market by helping them to raise their brand profile, create awareness and increase sales. Simon is a couturier who has flown all over the world to create exclusive one-off pieces for his celebrity clients. Having graduated from London College of Fashion, Simon has assembled a team of specialist seamstresses and craftsmen who help to transform his unique and exclusive pieces. Offering both beauty and food products, Alassala's mission is to shed light on the Argan culture by offering the highest quality Argan oil available straight from its source: Essaouira in Morocco . A destination spa to discover, heal and renew. London’s first spa to offer wine therapy described as “the elixir of youth”. Perfect for city dwellers as the polyphenol in grapes helps to clears away the toxins present in the skin. Nail Harmony UK is the sole UK distributor of top professional nail care brands Gelish and All That Jazz. Gelish are the innovators of the brush-on soak-off gel polish. They recently launched the revolutionary all-in-one PolyGel system. MBST® (Multi Bio Signaling Technology) Magnetic Resonance Therapy is currently the only therapy available that works at cellular level. It is a non-invasive, risk and pain-free course of treatments available in over 29 countries which has been used for over 17 years to treat people who suffer from a degenerative disease in joints and bones (such as osteoarthritis or osteoporosis) and in the treatment of bulging discs, sports or accident injuries. Supply & Buy is a by invitation only event that offers a unique opportunity for upcoming beauty brands to meet the UK's Top Beauty Retailers direct in an intimate and business-focused atmosphere. All That Jazz is an exclusive premium professional nail care brand producing high quality nail lacquers and manicure treatments for the UK market. An Australian brand that offers a naturally derived make-up range. Their products are high-performing and rich in natural waxes and essential oils. Eye of Horus was made to make every woman, no matter what age, feel beautiful . Illuminating Space: The best solutions in designer lighting. Inspired By Design is the UK's leading supplier of European exclusive luminaires, working with all major architects and designers in the UK on a variety of projects. MesmerEyez cosmetics have grown to become the No.1 brand in eye colour change around the globe. XtremeEyez is under the umbrella of MesmerEyez offering scary and more colourful lenses. Founded in 2009 by beauty journalist Fiona Klonarides who was shortlisted for Beauty Blogger of the year 2013 in the Fashion Monitor Journalism Awards earlier this year. Voted into the Top 25 Who's Who in the Natural Beauty Yearbook 2013. Fiona Launched the inaugural Beauty Shortlist Awards in 2011. An interior design consultancy, based in Central London, offering bespoke creative solutions to clients worldwide. With over two decades of experience in Semi-Permanent Make-up, they are global market leaders in training and products supplies. They are award-winning industry brand in Medical Tattooing, Digital Skin Rejuvenation, Scalp Micropigmentation and Tattoo Removal. Katherine Jackson is one of the leading holistic practitioners in the UK. She is a fully qualified acupuncturist (including electrical acupuncture), a practitioner of Chinese medicine, shiatsu and reflexology. However, she is probably best known as the beauty editors best kept secret. Distinctly natural, Rossi Natural Skincare produce pure products that contain only 100% natural ingredients, with organic and botanical extracts. Tired of 'natural' products filled with unnatural ingredients, Rossi are passionate about delivering premium skincare with the simplest ingredients from nature. The Rossi philosophy is based on purity, balance and wisdom. Is a small company who has developed a huge innovation in the nail enamel market. The Ultimate Fix is the first spray that can be applied to each layer of enamel: From base to topcoat. It's paraben free, and features Supaset technology for fast drying and unbelievable long wear. Launched for Spring/Summer 2011, Anne Wiggins London is a luxurious range of nightwear, pyjamas and loungewear created with what Anne believes is the most ethically and exclusively sourced silk in the world. Cacay Naturals is the professional anti-aging product made of 100% Cacay Oil from Colombia. It is a 100% natural and organic oil supported by clinical studies that prove its effectiveness. It helps to reduce wrinkles, facial blemishes and the appearance of scars. This cruelty free, 100% vegan multipurpose oil can be used as an anti-aging remedy, a fighting acne agent and it can also work as a treatment for cuticles, damaged hair or as a burn healer. 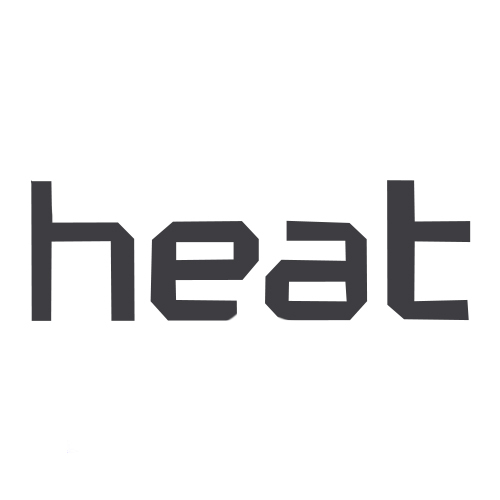 Innovative design-based company leading the field in both new build and renovation developments in both Britain and Europe. They provide services in design and construction projects and take pride in their ability to create sustainable homes which reduce carbon footprints. They won the Zinc Award in 2008. Inventive and elegant, the Made by Zen range of aroma diffusers have a patented ultrasonic technology. They produce an ambient fragranced mist that is ideal for use in salons, shops or the home. Made by Zen have also developed an exclusive range of fragrance oils. Offers the newest and most exciting educational courses within the salon to salon sector. They deliver first class education to individuals and large companies. The mission of Talking Tables is to provide stylish, themed and coordinated accessories for your party or occasion. They are dedicated to providing clever, fun and different ways for people to celebrate and entertain. Bardou is the new luxury brand of haircare, hairstyling and cosmetic products that offers premium salon results at home. What sets its range apart is its formulation enriched with Keratin and ingredients specially designed in Great Britain. Bardou also provides flexible and accessible beauty and haircare treatments across their salons and pop-ups worldwide, currently in London, Marbella and expanding to Dubai. Written by Kelly Moss and Michael Aviles, the Cape Cod Cookbook (published November 2012) brings a slice of New England home-cooking to British shores and is a celebration of family, friendship and food. The proceeds from the book will be donated to Spinal Research , the UK's leading charity that funds medical research into reliable treatments for paralysis, a cause close to Kelly's heart. Karen Betts, Director of ‘Professional by Karen Betts’ is the UK’s leading Permanent Cosmetics and Medical Tattoo practitioner and trainer. Karen has built an unrivaled reputation as the supreme practitioner in this field; she has many worldwide celebrity clients. The UK’s first national online directory that allows the consumer to find and book hair and beauty services 24 hours, 7 days a week. Luxury Semi-Permanent and individually applied Lash Extensions. A UK based skincare brand. Their main ingredients are UMF20+ Manuka Honey, the highest rated of UMF in skincare and Bee Venom. These ingredients are well known for their plumping, anti-inflammatory and skin healing properties. A new concept dog and cat boutique with the aim of sourcing and creating a well-designed stylish range with particular emphasis on handmade, natural, recycled organic products. Also incorporates a state of the art groomers, using the highest quality spa pet products and dedicated to giving a happy, relaxed experience to pets. 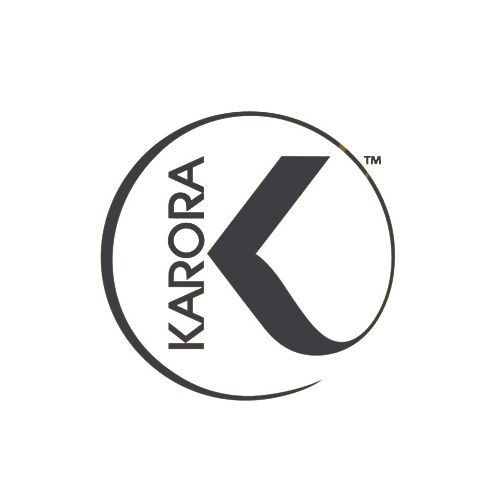 Karora stocks a capsule range of botanical bronzing products. Karora offers modern women a stylish and glamorous choice in the natural beauty category. Karora products contain no parabens, artificial fragrances, synthetic colours or harsh chemical ingredients. Naturalmente is an Italian biodynamic haircare brand. Deeply inspired by the healing powers of aromatherapy, their formulations are petrochemical-free and plant-based. Naturalmente is also an eco-conscious brand: their packaging is 100% biodegradable. NOSH (Natural, Organic, Safe and Healthy) is a London based company that promotes health and wellbeing, delivering detoxification-weight-loss programmes and supplements to people’s homes and offices. The Draycott Group are innovative market leaders within the specialist health care sector. They are currently the holding company and the umbrella for three limited companies Draycott Nursing & Care, Draycott Education, Draycott Living and one NPO: Draycott Homeshare. New luxury performance tanning brand formulated with the cleanest, natural and most hydrating ingredients. These have the highest premium grade DHA’s and include ingredients such as Bergamot, Sea Buckthorn Vitamin E; all enriched with Pentavitin (R) which hydrates the skin from within. The benefits are firming, toning, anti ageing, healing and skin rejuvenation. The tan is odourless, dries in 60 seconds, develops in 2 – 4 hours, is streak-free, non-transferable and water resistant. Started as a unique seven-step salon based brow treatment. 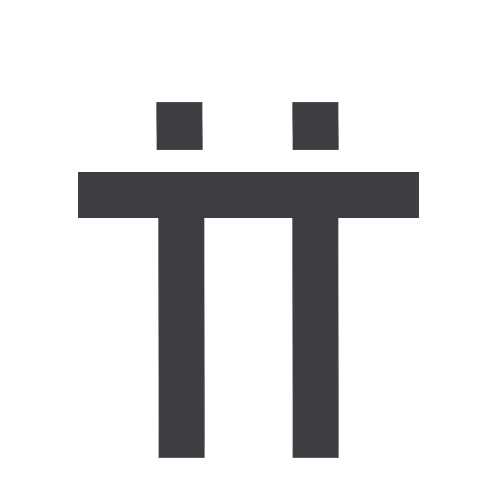 It has now developed on to become all thing ‘brows’ and also trend-led professional make-up brand. Natural Lash Enhancement without Lash Extensions. 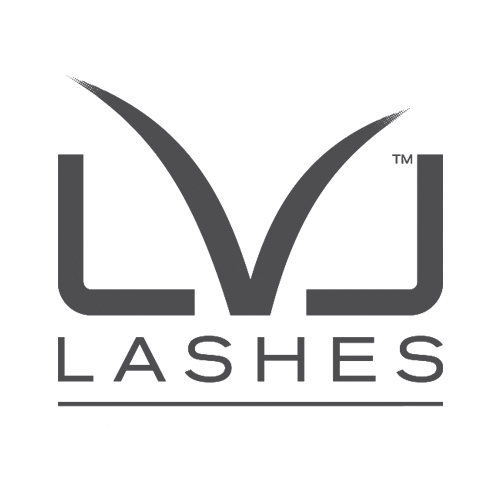 LVL Lashes, uplift and straightening for your natural eyelashes. Nazila Love Glamour is an innovative nail company, encompassing LED Gel Nails and Nail Glitz stick-on nails. With over 195 custom-made nail gel colours to choose from, including 18 unique Diamond Encrusted Gel Colours, Nazila have more gel nail colour options than any other LED gel nail range worldwide. They also offer a range of reusable 3D Nail Glitz stick-on nails. Interior Design guru Susan Llewellyn is an award-winning interior designer and a long established and influential part of the British interior design world. Susan is also the founder of The Susan Llewellyn Academy of Interior Design. The Academy offers a Certificate Course in Interior Design and Decoration, one or two day Masterclasses and bespoke interior design tours devised for students, enthusiasts and professionals alike. 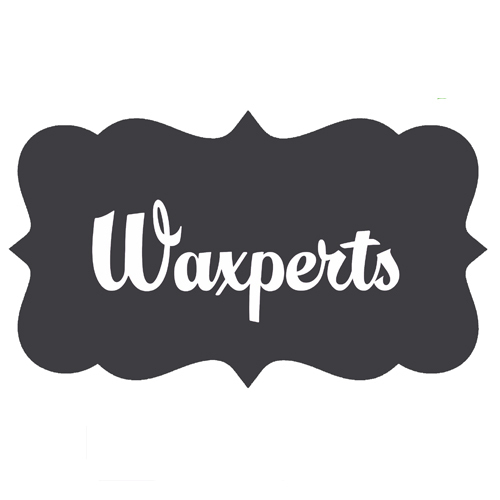 Irish-based beauty brand, Waxperts Wax offer a pain free advanced formula for all types of waxing. The wax is specially formulated to suit even the most sensitive skin whilst remaining both flexible and extremely economical.